While the mansions along the Battery and Rainbow Row are without a doubt the most notable and most photographed homes in the Lowcountry, they are far from the most interesting. As small tribute to the oft-ignored and stranger side of Charleston architecture, I hopped on my moped and snapped shots of what I feel are Charleston's most unique dwellings. My first stop was on the corner of America and Reid Street to the House of the Future. 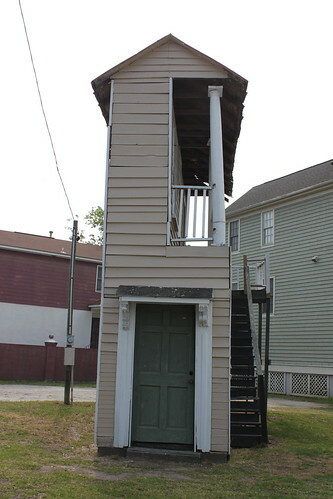 Originally built in 1991 by artist David Hammons, the House of the Future was part of that year's Spoleto exhibition entitled "Places with a Past." Above is a view of the building, but in the image below, you can see why it's really quite unique. And, you know, cozy. 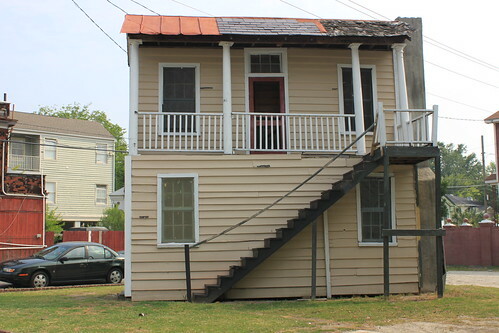 Right across the street is Charleston's most minimalist. 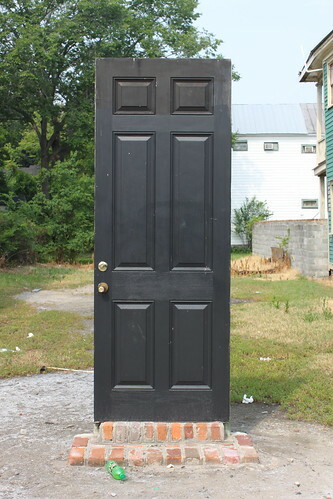 Erected in conjunction with Hammons' House of the Future, this door and two front steps is all that stands at what would be 41 America Street. 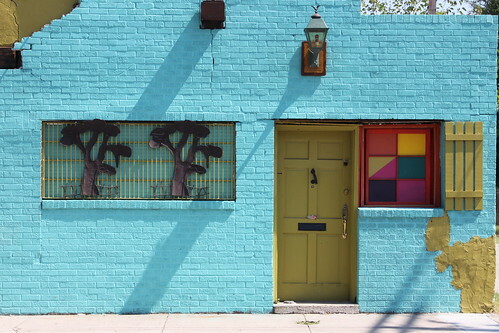 You can check out the street view on Google Maps to see the door standing proudly between two houses, or just look below at a close-up. 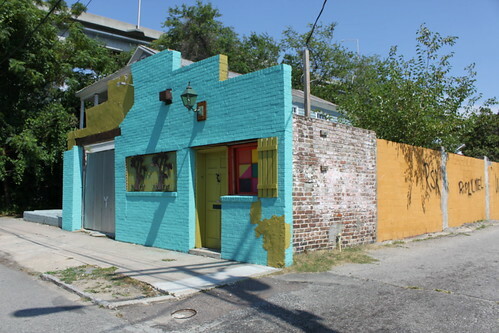 The next stop on my adventure was the 57 Chapel Street home of artists Jill Hunter. 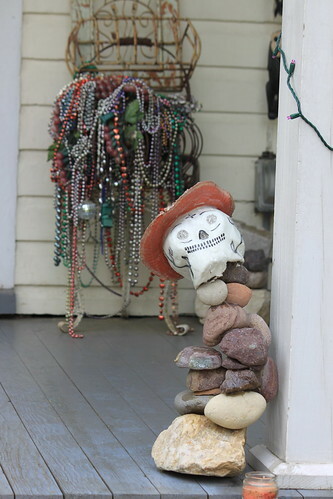 Hunter made waves in the neighborhood back in 2009 when she attempted to have a Day of the Dead party with art, skeletons, a Mariachi band, and fire dancing at her home. The neighbors got pissed, but Hunter has since stuck it to the party poopers by leaving all of her eccentric decorations up and lighting up the outside of her house every single night of the week with purple Christmas lights. Pretty awesome, right?! 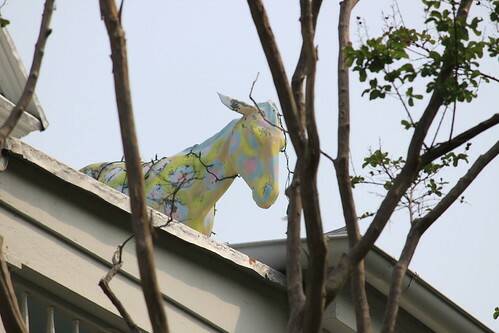 Oh yeah, Hunter also has a painted sculpture of a donkey on her roof. You can only see this gem if you walk past Chapel and scope out the back of her house from Elizabeth Street. 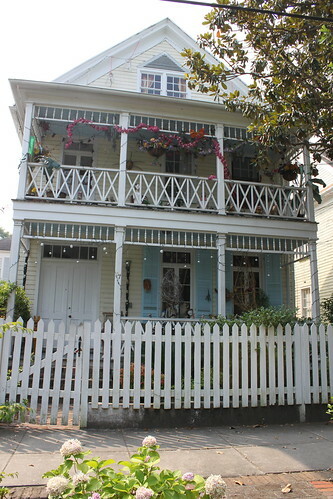 Just down the street from Hunter's house is what I've affectionally dubbed "The Birdcage House." If you're walking by 19 Elizabeth Street and hear some lovely chirping, look up. 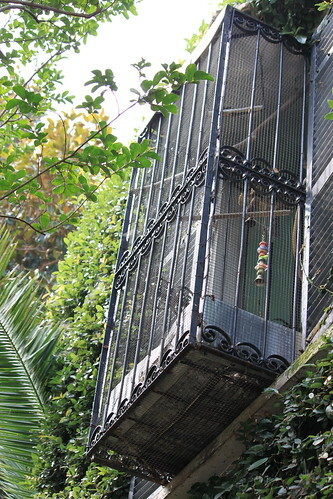 Sitting halfway off of the ivy-covered piazza, this house boasts an enormous birdcage. With birds on my brain, I knew exactly what my next stop had to be. 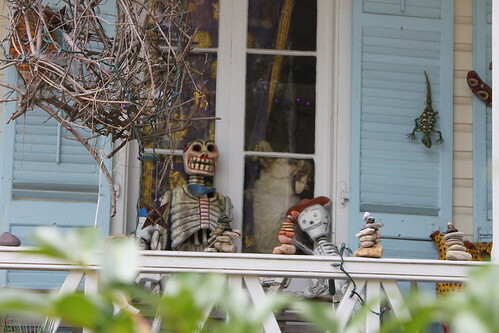 The always entertaining "pelican house" at 827 Rutledge Avenue. 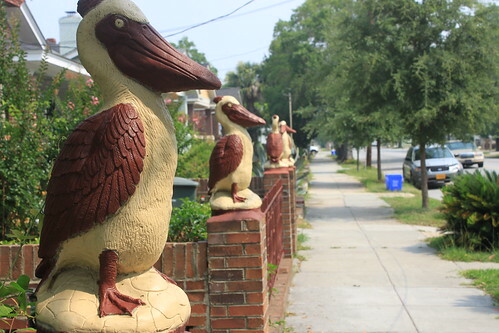 With five life-sized pelican statues on the front wall, it's exceptionally hard to miss this place. The avian love doesn't end with the statues. 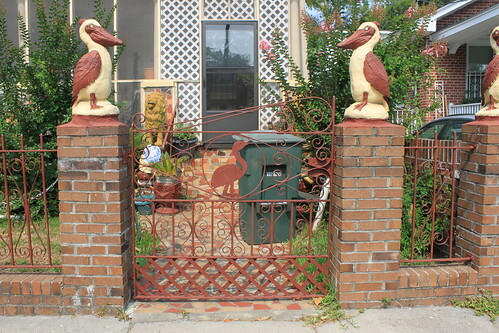 What could be interpreted as either a duck or a flamingo is the focal point of the front gate. 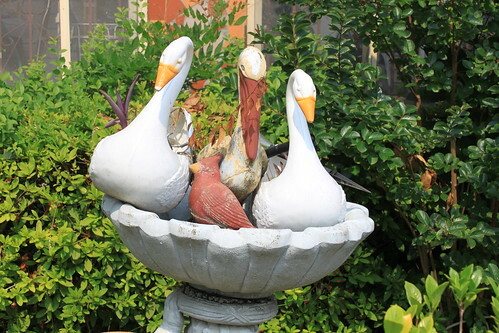 And finally, the very, very overcrowded bird bath in the front yard. What used to be a a sad shell of a structure on the corner of Romney Street and Athens Court recently got a facelift and an incredibly vibrant paint job. The last stop on my adventure was at the most monochromatic building in all of Charleston. Seriously. 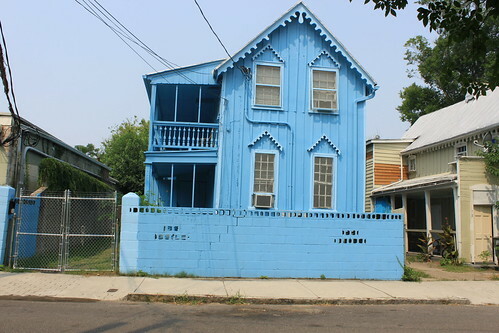 Someone really likes the color blue.